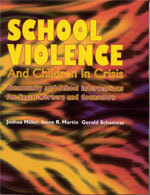 The latest edition of this classic book incorporates new strategies for handling violence and inappropriate behavior in our schools, including the implications of new technologies like cell phones, social networking, and cyberbullying. 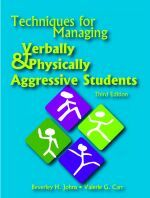 The authors provide how-to information and step-by-step methods for working with disciplinary problems and aggression within the school setting. It focuses specifically on techniques for breaking up fights, intervening in bullying, and working with students who talk back and refuse to do their work. These classroom management techniques provide tangible results. Strategies for school-wide behavior management and community and parent involvement provide an integrated and comprehensive approach to addressing violence in our schools.